Skull Island is a series of works that seek to define an abstract image space. 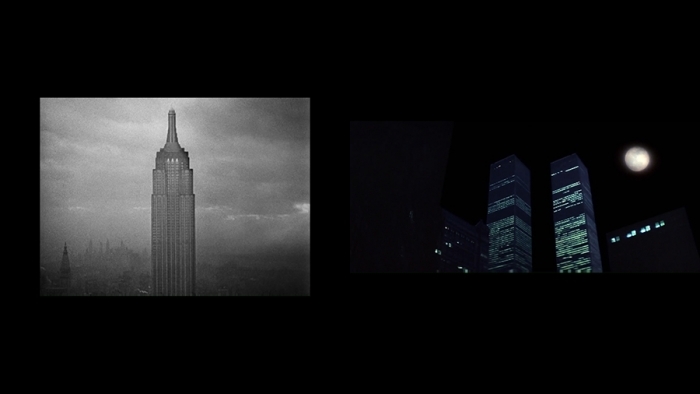 Situated somewhere between film, lecture and performance, each instalment utilises the fictional islands from King Kong and its various remakes as points of reflection of the social and political conditions of the eras in which each was conceived. Each version of the island acts as a container for the insidious ideology of the original 1933 film which is adapted and carried through into the present day. Part II examines the setting for the 1976 remake in which the camera crew in search of Kong is replaced by a petrochemical company in search of oil. Produced and set during the dawn of neoliberal policy, this version is discussed in relation to the rise of entrepreneurship, individualism, and a proposed formation of a collective, yet physically isolated state of fear.